Anderson Mill Limited District has a space for all of your event needs! 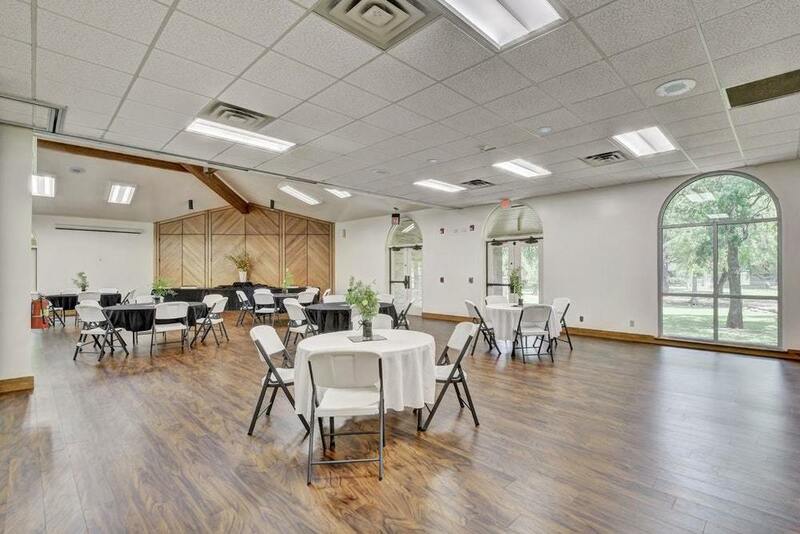 Our Community Center can accommodate most events, large or small. Please give us a call at 512-258-4104 to check availability or ask any questions. **A security guard is required and provided for rentals where alcohol is sold or served. We offer the building on a first come first serve priority. In order to secure your rental, we require a completed contract and full rental fees. Facilities must be booked a minimum of two weeks prior to an event. Due to staffing, rentals are not guaranteed on major U.S. holidays. Renters are required to pay all rental fees in full at time of reservation in order to secure your rental. Rental fees may be paid by cash, check, or credit card. In order to receive the resident or non-profit rate you must provide proof (e.g. 501c3). Renters are required to provide credit card information to hold as a damage deposit. The damage deposit info is cancelled following the rental if there are no damages. See rental contract for more information. Less than 10 calendar days before event: No rental fees will be refunded. Within 11 to 30 calendar days before event: 50% of rental fees will be refunded less $20 processing fee. More than 30 calendar days before event: 100% of rental fees will be refunded less $20 processing fee.